Monique Grenier, an iSchool MLIS student, recently completed a directed study at Pearson College, where she worked on a digital preservation and access platform. Her work was profiled by the College in a recent newsletter. “I was fortunate to work with Pearson College UWC librarian Dani McArthur (YR 6/1981, Canada) to review and curate the Digital Archive’s contents by incorporating format distinctions as well as community-specific subject headings. This allows users to search across collections by specific keyword and/or organizational, geographic or personal name,” says Monique. 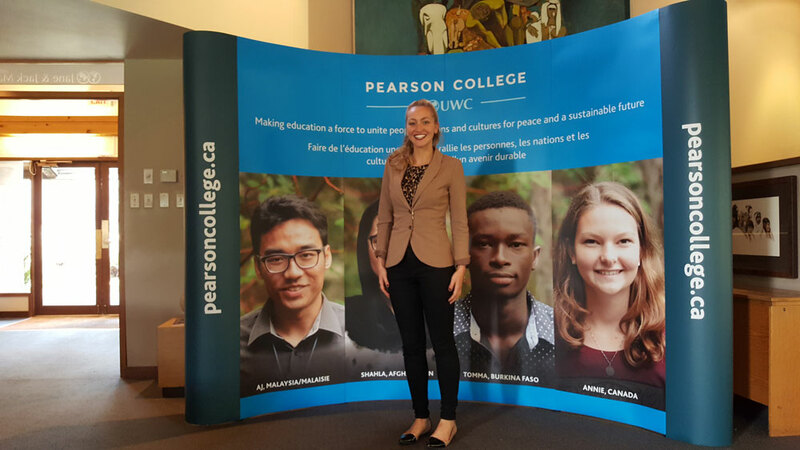 The new platform allows students, faculty, alumni, and interested users the ability to browse the College’s digital artifact collections related to the college namesake, former Prime Minister Lester B. Pearson. The Digital Archives also contains more than 5,000 images, including digitized photographs and slides, as well as rich historical documents such as reports, meeting minutes, memos and correspondence, and speeches related to the College spanning the years from 1968 through the 1980s.